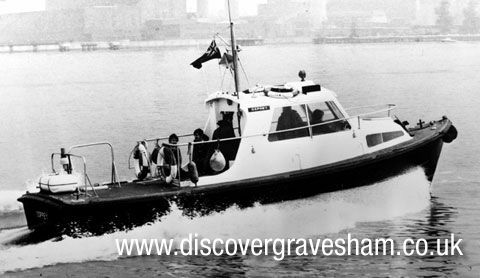 Gravesend is at the outer limit of the Port of London. Customs men or Searchers boarded ships sailing to and from London, to find taxable goods and collect the money owed. The Searchers could not examine the contents of the tiny boats on the river. 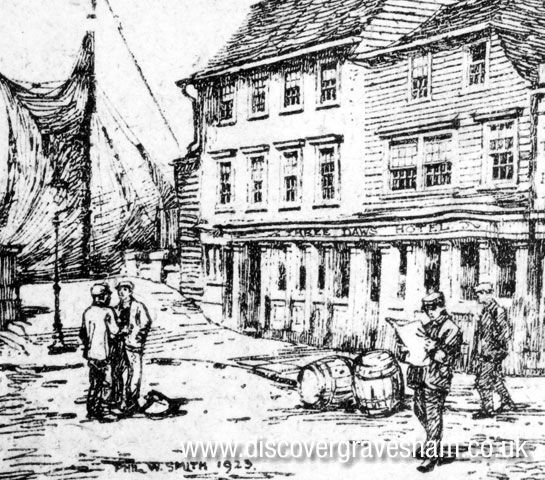 Pubs like the Three Daws were believed to be the haunt of smugglers. There were many small jetties and wharves where smugglers goods could be secretly landed. Meanwhile between the thirteenth and seventeenth centuries, smugglers known as owlers made huge profits by illegally exporting fine English wool. Then, as world trade expanded in the eigteenth century, taxes were imposed on tea, spirits, silks and tobacco. Legal importing of these goods became very profitable. 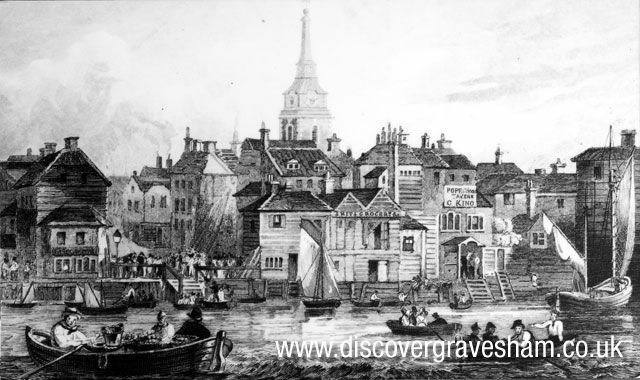 There were said to be many smugglers in Gravesend, based at pubs by the river, and using the warren of narrow passageways to hide from the Searchers.